This interactive notebook aligns with Go Math! 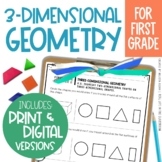 (Florida CCSS version) Chapter 11 for 2nd grade. Included: Chapter vocabulary graphic organizer I Can statements/activities for each lesson Teacher Notes Page Please email me at ebuckler@hotmail.com with questions. Use these cards to review skills from chapter eleven of Go Math for second grade. This is a great way to prepare for the test. Includes an answer key! This is a practice test to help prepare students for the Chapter 11 math test in 2nd grade using the Go Math curriculum. These worksheets have similar questions to the test with different names and numbers. This PDF includes: * All Lesson Plans for GO Math Chapter 11 * Differentiated instruction options in three groups (Orange, Green, Blue) *Additional Extend Your Thinking and Enrich worksheets that accompany lesson plans.